Cpanel is a godsend for web hosting services and system admins who prefer power over simplicity. It’s advanced enough to where you gain flexibility but not to the point that user-friendliness becomes an afterthought (even though it doesn’t appear that way at first). 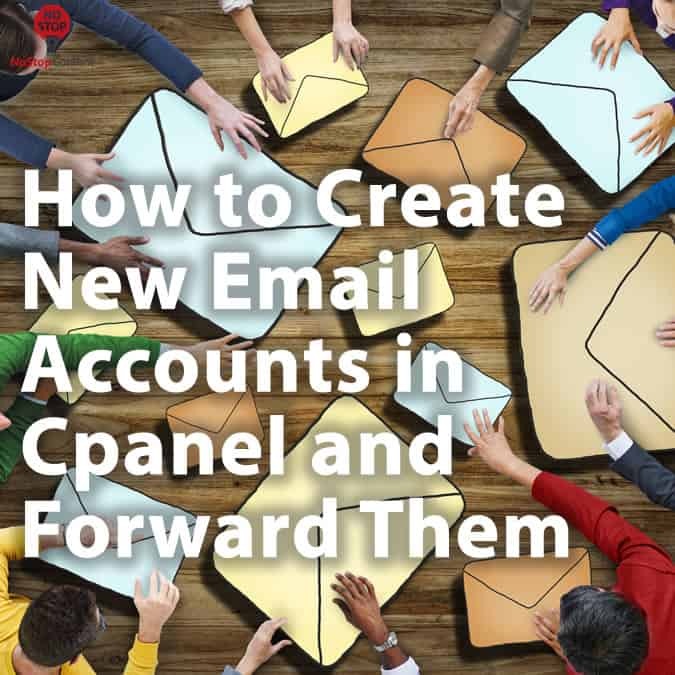 If you’re new to Cpanel, you’ll want to familiarize yourself with how to create new email accounts and forward them to a main email address. It’s a simple process, plus it gives you a chance to become familiar with Cpanel as you explore the interface. 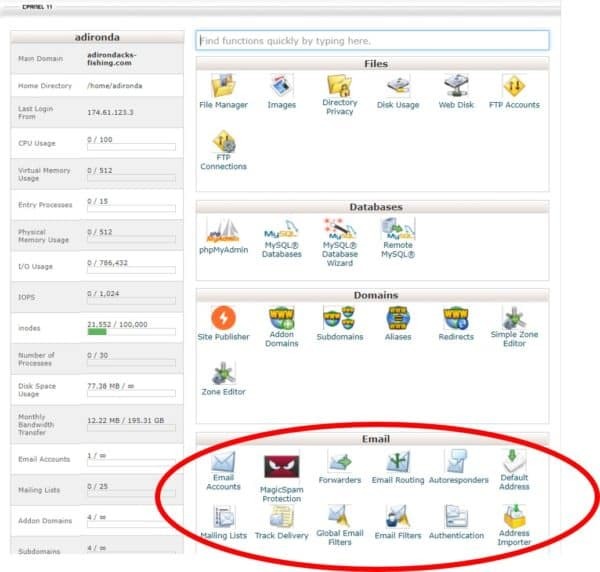 Log into your cPanel account and locate the Email section (fourth one down) on your homepage. 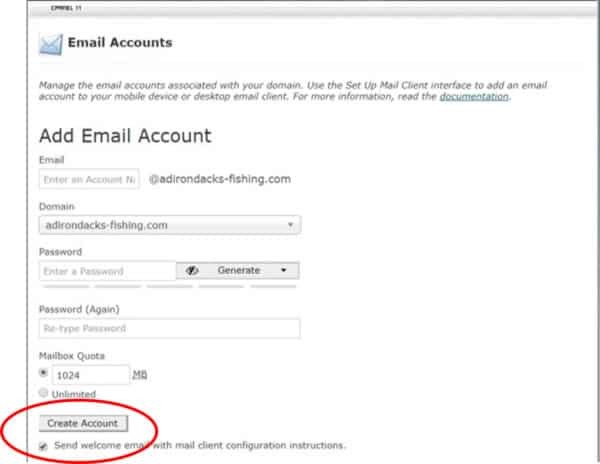 Double click on Email Accounts to go to the email accounts manager. To begin, you’ll need to select the domain from the drop-down menu for the new email account. Once you select the domain, the email above will change to reflect your selection. Enter the new email address here. Next, you’ll need to set up a password. You can click the Generate Password button to create a random password or you can input your own. When you click the down arrow on the Generate Password button, you can set a specific password and other requirements, such as using uppercase and/or lowercase letters or choosing between symbols and numbers or both. You’ll need to retype the password to confirm. cPanel will tell you if the password meets strength requirements. 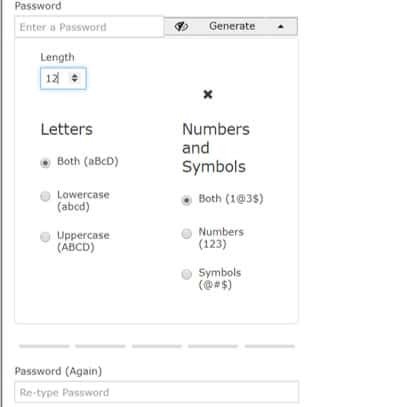 Using a system-generated password will automatically create a strong password. After you set the password, you can choose a mailbox quota (i.e. 1024 MB in the example below) or opt for unlimited. Once you’re finished, click the Create Account button. You can check the box to send setup instructions or uncheck it to create the account without sending instructions. Once you create the email account, it should appear in the Email Accounts section below the area you used to create it. If you’re setting up multiple email accounts, repeat this process for each one. 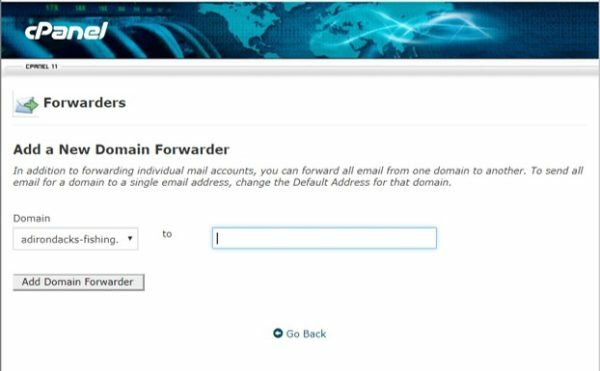 You can set up a forwarding option to send email to your main email address. 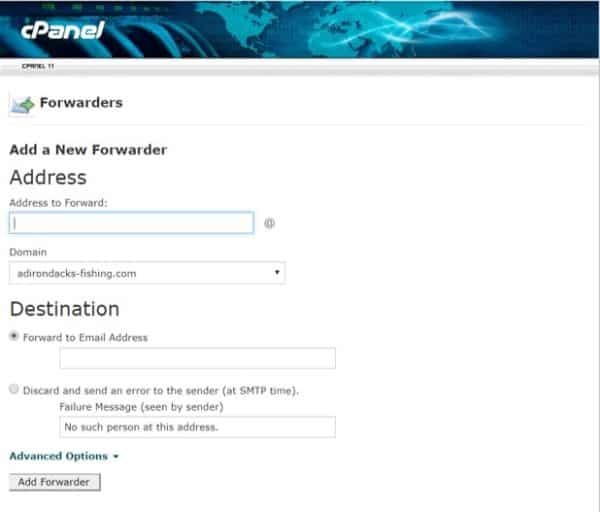 To start, go back to your cPanel account home screen and locate Forwarders under the Email section. Select the appropriate domain from the Managing drop-down menu. To forward individual email accounts, click the Add Forwarder button. On the next screen, you will input the email address you wish to forward to a different email address. 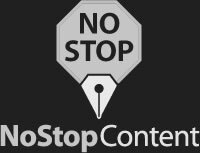 Verify the domain — if it’s not the right one, you can change it here. Select the Forward to Email Address option if it is not already selected. Type in the email address you want to forward to and click the Add Forwarder button. You also have the option to forward all mail from one domain to another. 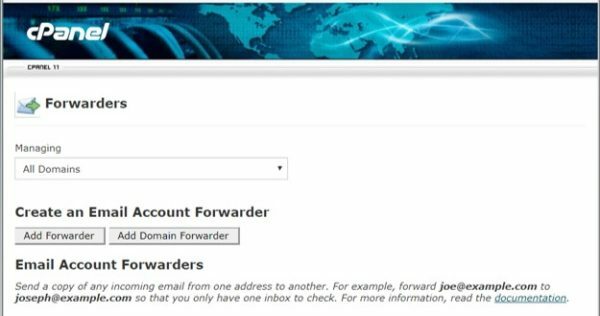 To do this, you should select Add Domain Forwarder on the Forwarders page. This will allow you to redirect email to a different domain. Cpanel’s status as a web management powerhouse can make it seem overwhelming at first. There are tons of online guides that can help you navigate even the most complex tasks in cPanel so you never have to go it alone.